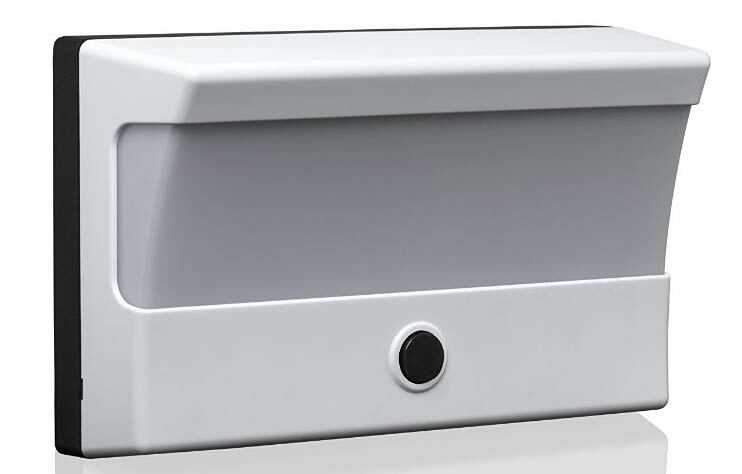 A modern, white finish, landscape orientated, energy saving, daylight white LED outdoor wall light, with a black aluminium wall mount and polycarbonate fascia and wrap-around diffuser for an all over softer light. Hello Mike, this fitting is fitted with integral LED lamps with an average lifespan of 50,000 hours use. They are not replaceable but should last for 15-years or more before needing replacement.